We just loved what Sherry Cartwright did with the Kiwi Lane Templates. First off check out how she added the a punch border along the edge of the grid paper....too cute. But it was the yummy flower that had us asking for more. 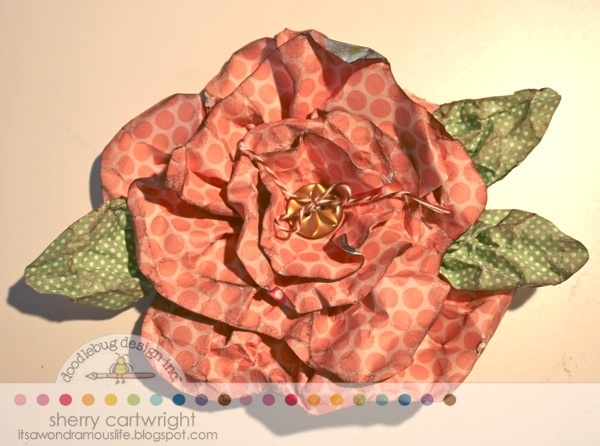 We wanted to know how she did that so we asked her to give us a bit of tutorial...so scroll down to learn how Sherry combined a Kiwi Template with Doodlebug's paper. I am sure you have thought to turn your papercrafting supplies into something more than their intended purpose. You just get more bang for your scrappy buck. 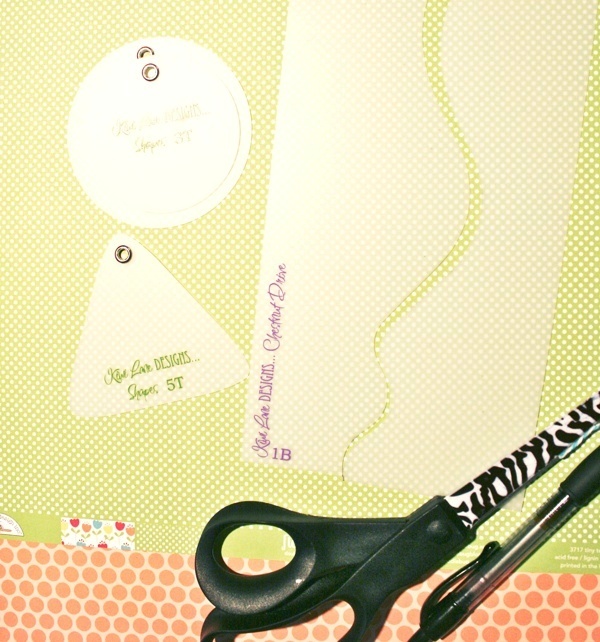 You need to cut three strips from your flower-colored paper using the Chestnut Lane templates 1A and 1B. And, you will need three circles using the same paper. 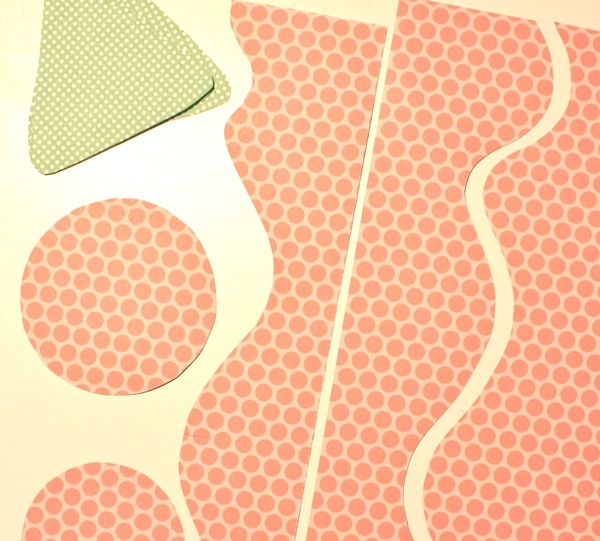 Then, cut three rounded triangles from the green paper. Then, spritz all pieces with water. Crumple up the pieces. 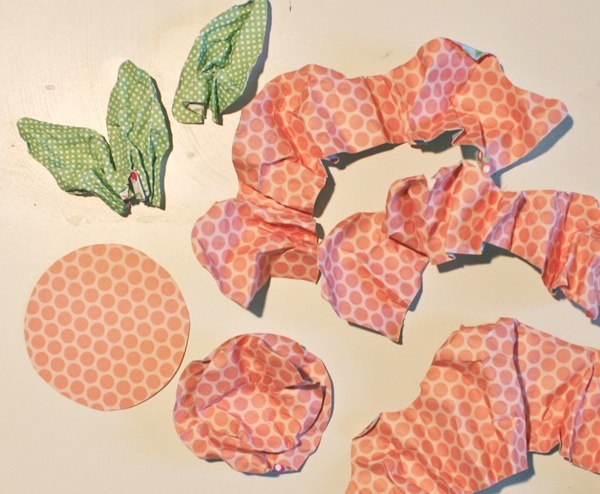 Then using the larger circle as a base, start wrapping paper strips around the circle. Start from the outside and work inward to center. 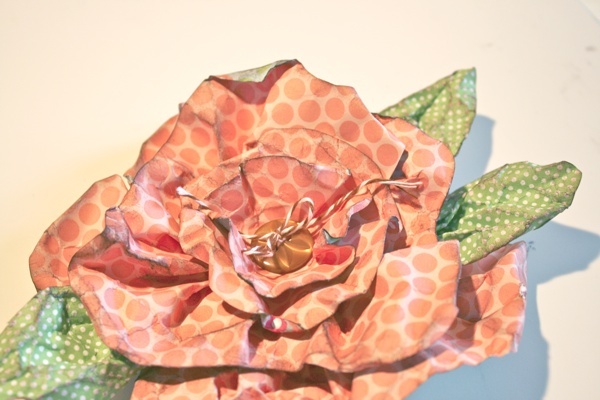 Once your flower is constructed and the way you like it, punch two holes in the bottom for twine and button. Shapes leaves and glue behind the flower. 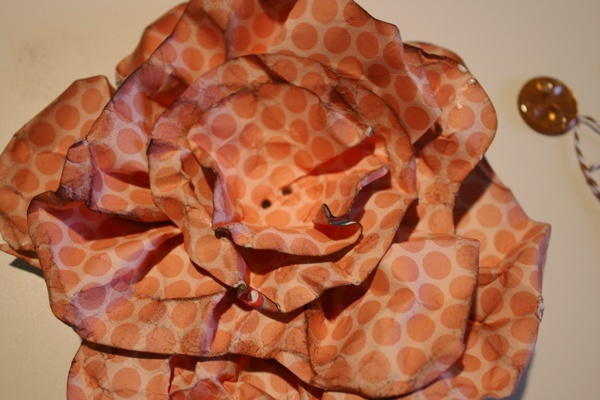 There you have it --- a pretty paper rose from a template that is used mostly to depict water / waves or land / hills. By making a few adjustments, you've gotten a beautiful flower. Be sure to check out Sherry's beautiful blog for other inspirational ideas. Wow..that flower is just AWESOME! TFS! 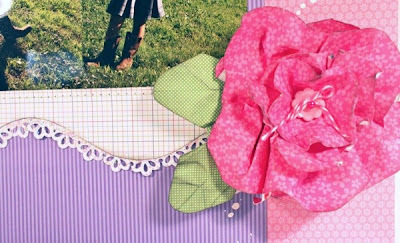 These flowers are Blooming beautiful - Thank you so much for showing another way that these wonderful templates can be used to make something beautiful with them and Doodlebug products!! You are so clever and just plain amazing!! The templates look like so much fun! Gorgeous creations! Love that yummy paper in the beautiful cheery colors! Great showcase for Doodlebug and Kiwi Lane! Love Sherry's flower! Thank you for the tutorial! LOVE how she used the sticker as a border too! I love the flower, thanks for the tutorial. Great layout - wonderful tutorial. Thanks for sharing. I love this layout and those flowers. Cool Beans! Love this idea! TFS!